The patterns of the enclosed sea lough with its 70 or so islands and numerous pladdies (submerged at high tide) are echoed inland with hills and inter-drumlin wetlands. The drumlins were revealed over 13,000 years ago, when the ice sheets that had covered the land up to 1 km deep, finally melted. The islands are drowned drumlins in various stages of erosion. Raised beaches, formed when sea levels were higher, notch most of the islands and coasts.The shore is very varied. Stretches of sandy beach, fen, scoured rocky plateaux, rocky foreshore, saltmarsh and mudflat are punctuated by strong landmarks all around the water’s edge - coastal lighthouses, headlands, rocky harbours, quays, tower houses and windmills. Strangford Lough is a large shallow sea lough, approximately 30km long, covering an areaof 150km2 with about one third of its seabed exposed at low tide including the vast northern sandflats. It is almost fully saline except at the mouths of the rivers Enler and Quoile, and where several streams drain into it. 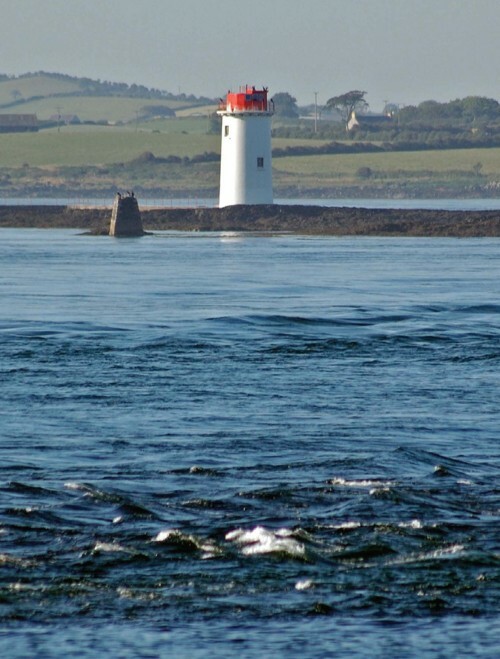 Entering Strangford Lough from the Irish Sea you are struck by the narrowness of the rock lined channel and the turbulence of its swift flowing waters (up to 8 knots) which scour the seabed. 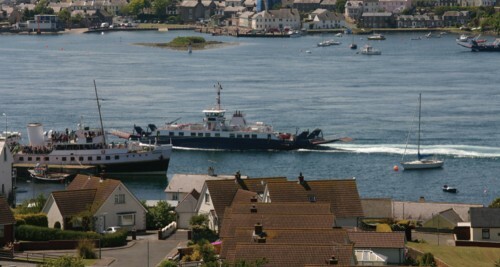 The appropriately named “Narrows” is just 0.8km wide south of Portaferry and 8km long and it varies in depth from 30-66m. It is known locally as ‘The River’. As the current speed drops further intothe Lough, cobbles, gravels and other finer sediments, cover the bed and shores. 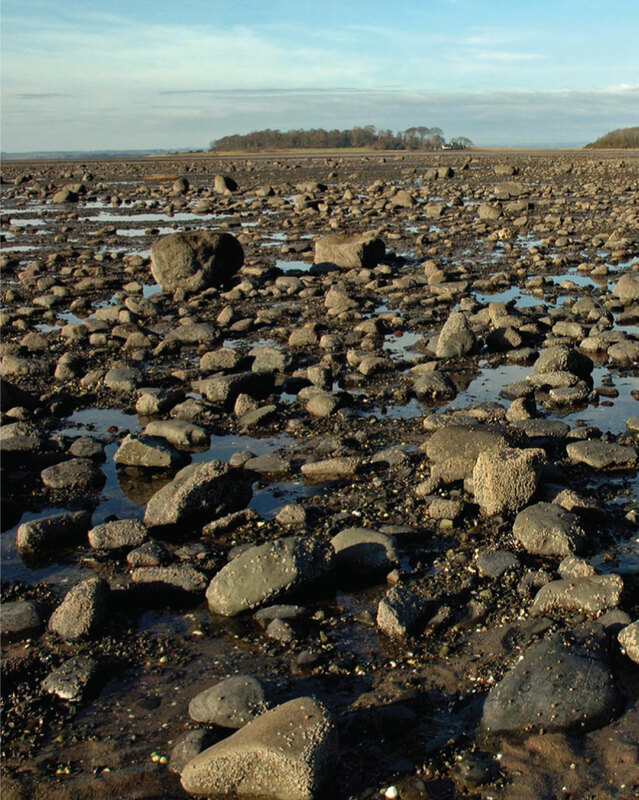 The finestmud and sand forms extensive tidal flats. 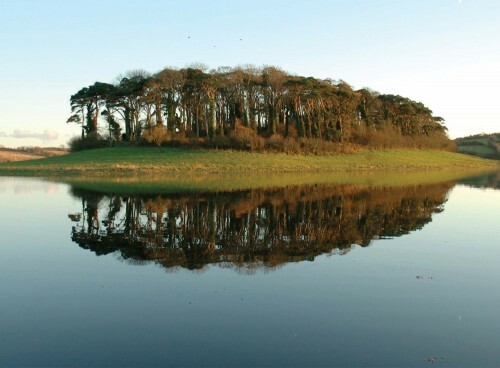 The Lough has a deep “y” shaped channel runningup its centre but for the most part is less than 10m in depth. 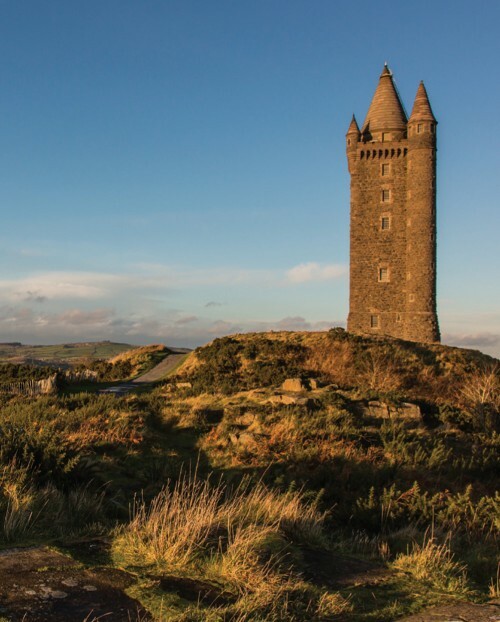 In general, the northeast of County Down is characterised by neat, fertile, hedged, drumlin farmlands, including some of the most productive agricultural land in Ulster. Raised beach deposits extend some distance inland on the Ards peninsula where they provide broad, fertile flats of shelly and pebbly soils amidst the heavier clays of the drumlins. The open skies and enclosed water of the lowlands are overlooked by the distinctive crag and tail of Scrabo Hill whose hard, volcanic, dolerite rock protected the underlying softer sandstone from erosion by the ice sheet that created the surrounding drumlins, leaving it to dominate the Lough’s northern shores. 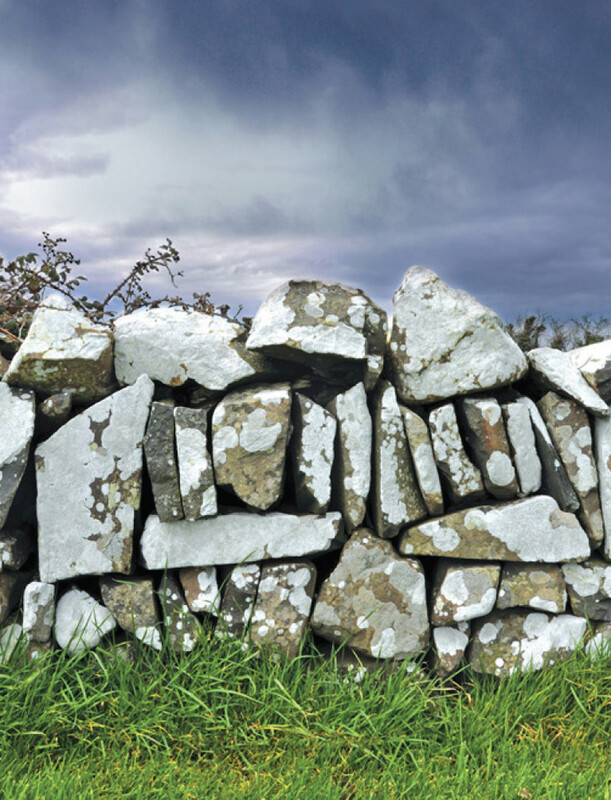 Further south the trim-hedged fields are replaced by small stone-walled fields on the higher ground of Ballyquintin Point across the Strangford Narrows and into Lecale. South again, the coastal farmlands of the Lecale Coast once more provide richer farmland, particularly on the claimed marshlands and areas of lighter soil. 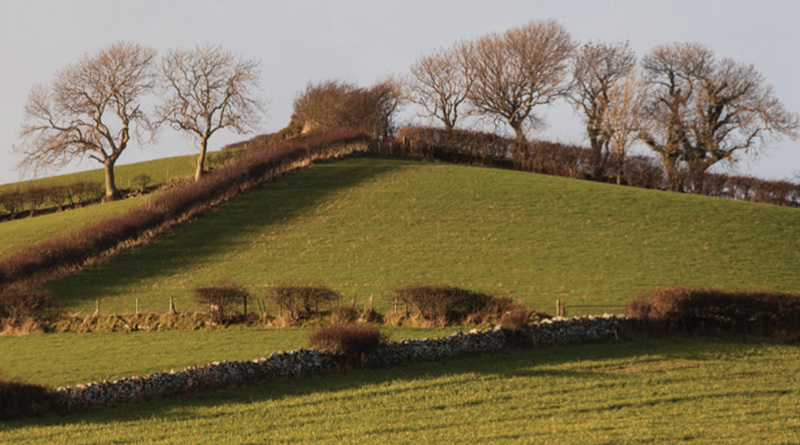 The Sheeplands of Lecale have distinctive earth banks to delineate fields. The coast of Lecale has a windswept, remote character. It retains a distinctive local identity and is steeped in the past, with numerous ancient sites. This southern part of Strangford and Lecale is also characterised by raised beaches as well as injections of volcanic rocks (known as dykes) creating a distinctive rocky shoreline and good natural harbours. In sharp contrast there are long sandy beaches and dunes at Minerstown and Tyrella. The rocks and stones of Strangford Lough and Lecale characterise the place and the dark Silurian shales and soft coloured sandstones found all along the coast are echoed in the quays, sea-walls and buildings. 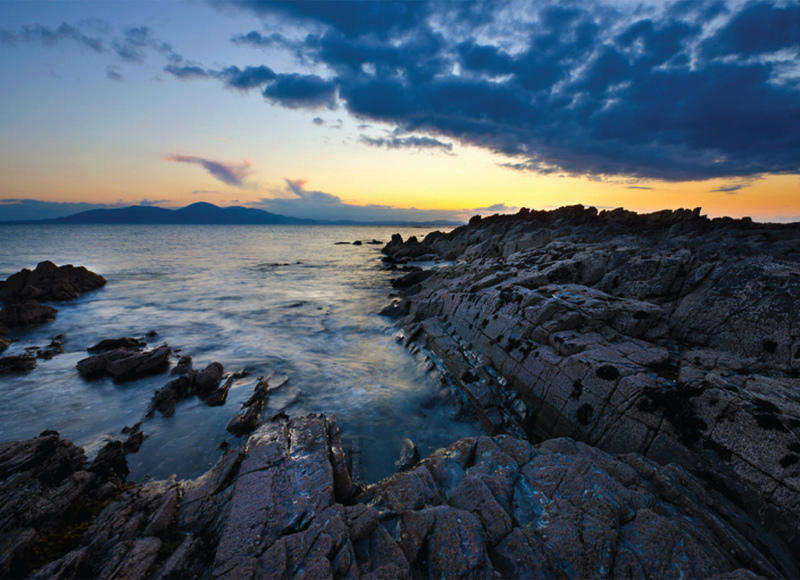 Tides, light, temperature and winds play an important role in the ever-changing nature of the coastal landscape and its biodiversity. The area has a mild climate and the prevailing winds are west to southwest. It is one of the driest parts of Ireland with relatively low rainfall. Related Publications No items found. The Angus Rock at the mouth of the Lough is known locally as the Rockin’ Goose!